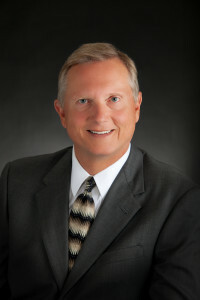 Greg Kuderer is an accomplished trial attorney with over thirty (30) years of experience handling and litigating personal injury and other civil disputes. He has successfully tried numerous cases to verdict, in both State and Federal Courts, and has facilitated settlements in hundreds more. Greg is a trained mediator and registered arbitrator with the American Arbitration Association. He has served as a sole and panel arbitrator in personal injury, contract and class action claims. He has mediated personal injury and commercial law cases, earning a reputation for fairness and integrity. Greg is admitted to practice in the State and Federal District Courts for Minnesota and Colorado, and the Eighth Circuit Court of Appeals. He is also past president of the Martin County and Seventeenth District Bar Associations. Greg earned his law degree from William Mitchell College of Law in 1981; and a Business Administration degree from the University of Minnesota in 1975. He is a past adjunct professor of Business Law at Minnesota State University, past president of the Fairmont Exchange Club, and past director of the Fairmont Hospital Foundation, the local chapter of the Citizens Scholarship Foundation, and the Minnesota Golf Association. Greg is a lecturer for continuing legal education and has made presentations on trial and other legal issues for insurance company and public conferences. Greg is a member of both the American Bar Association and Minnesota Bar Association, and has achieved the rank of Advocate with the American Board of Trial Advocates (ABOTA).